If you are looking for violin strings, and not sure which violin string brand is suitable for you and your violin, then you have come to the right place – Violin Strings Review! At this page, we will bring you a list of most popular violin strings in the market, and provide you more information about every brand. For every violin strings review, you can find out the type and make of the string, the quality of sound and tone the strings produce, and the difference between the brands too. You can also check out the best site to get your strings, for the best convenience and lowest price! We categorize all the violin strings review by the core of the strings. Check them out below! 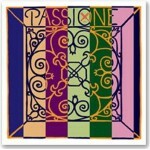 Pirastro Passione violin strings are new gut core strings which are said to come with the best of both worlds – Gut tone complexity with reliable tuning. They are one of the new type of gut core strings in the market! 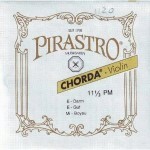 Pirastro Chorda violin strings are gut core strings, and are recommended for any violinist who wants an experience of historically authentic gut strings and performance. They are also known for their authentic stringing, and they suit best for baroque instruments. 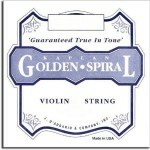 Kaplan Golden Spiral violin strings are gut core strings, and are one of the lowest priced, yet high quality gut strings in the market. They are made by D’Addario, one of America’s largest string makers. 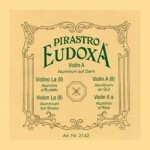 Pirastro Eudoxa Violin Strings are gut core strings, and have been in the market for a very long time. They are also considered one of the best gut core strings around. If you want to experience the true beauty of gut core string, Pirastro Eudoxa violin strings will be the best choice. 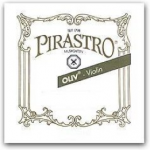 Pirastro Oliv violin strings are gut core strings, and is considered by many to be the best gut strings ever in the market. 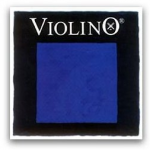 Some of the most celebrated violinists in the world use and recommend the Pirastro Oliv violin strings. Pirastro Gold Label violin strings, also known as the Pirastro Gold, are gut core strings that have been in the market for a long time. Orchestral players favor the strings for their lower tension, greater volume and a more complete sound. If there’s one violin string brand that I will recommend to fellow violinists, it would be the Thomastik Dominant Violin Strings. 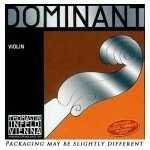 The dominant violin strings have been favorites to many experienced violinists. It produces a warm and gut-like tone which is preferred by violinists worldwide. 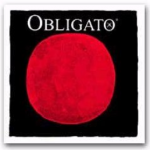 Obligato violin strings are one of the most popular synthetic core strings. With all else equal, compared with other synthetic core strings, the Obligato strings come closest to the quality of sound produced by gut core strings. 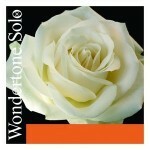 Pirastro Wondertone Solo Violin Strings are synthetic core strings, and is said to posses the best qualities of other Pirastro’s top performers – Evah Pirazzi, Obligato and Violino. Its core is made from a modified synthetic fiber. 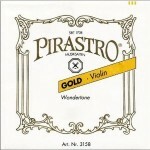 Pirastro Aricore Violin Strings are unique in a way that they feature a multifilament synthetic core (perlon). They are known for their dark and warm sound. 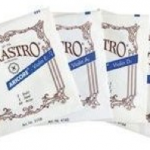 If you are looking for strings that produces darker and warmer tone, Pirastro Aricore strings would be your choice. Pirastro Evah Pirazzi violin strings have a composite core – made with the latest manufacturing technique. It has a brighter tone than Obligato strings. 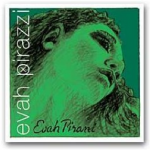 Pirastro Evah Pirazzi violin strings are one of the most popular strings among soloists. 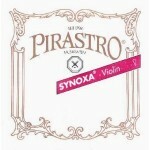 Pirastro Synoxa Violin Strings are synthetic core strings, which carry similar qualities as the Pirastro Aricore. They are also considered to be the answer to the famous Thomastik Dominant Strings. Pirastro Synoxa Strings also feature a synthetic person core offering an alternative to Pirastro’s gut strings. Pirastro Violino violin strings are new strings in the market, and are designed to be a top quality school string. They feature a new type of synthetic fiber core, which is also seen on Evah Pirazzi and Obligato strings. Pirastro Violino strings, with a synthetic core, produce very warm, smooth and round sound. 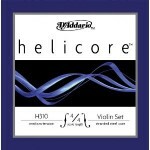 D’Addario Helicore violin strings have been in the market since the mid 1990′s. They are famous for their steel core strings which made playing favorable for students and professionals worldwide. As all steel strings, D’Addario Helicore are very responsive. However, unlike other steel cores, they have a soft and comfortable feel below the fingers. Pirastro Chromcor violin strings are one of the lowest priced strings in the market. They are popular among professionals and students alike. 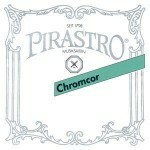 Pirastro Chromcor violin strings are high quality steel core strings. They have bright, clear and clean sound, which make them very popular among musicians in Europe. 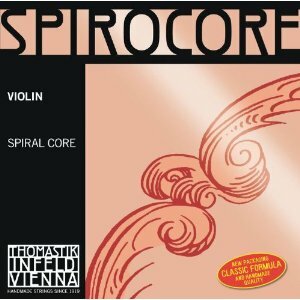 Thomastik Spirocore violin strings are spiral steel core strings that are of high tech and top grade. They are considered a grade above the common steel core strings, and are boosted by its quick response, consistent performance and tonal power. One great advantage of the Thomastik Spirocore is its high elasticity, which gives the strings less inertia, and higher propensity to musical vibration. 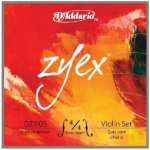 D’Addario Zyex Violin Strings are part of the new wave of composite core violin strings, which are extremely stable under drastic climatic conditions. Made with the new generation of synthetic material, D’Addario Zyex violin strings have a warmer and richer sound than other synthetic strings. They also have excellent projection, which makes them remarkable for solo and symphonic playing. 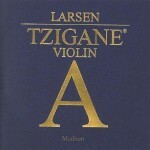 Larsen violin strings, founded by its founder, Laurits Th. Larsen, though not a household brand name, are considered one of the finest strings in the market. Larsen violin strings have a new synthetic core, which is more correctly known as a newly developed composite fiber bundle core. Its string quality can be compared to Thomastik Dominant strings.